A manufacturer of METAL PRESSINGS, Formerly H.A. Light (Multiforms) Ltd and now a division of the Rical Group and incorporating the former companies Copeland and Jenkins and Wire Products, Multiforms a TS16949 Quality approved company, provide the complete service in the manufacture of metal pressings, strip and wire-forms using high speed presses, multi-slide, Fourslide press machines along with cold heading wire forming machines. 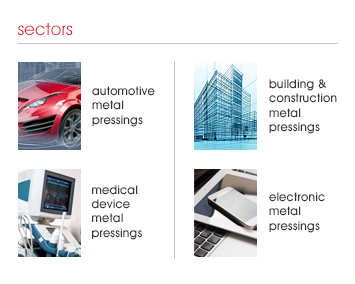 Multiforms are recognised within the industry base as a leading manufacturer of both simple and complex high precision components, manufacturing items as diverse as Purlin Clips for the building and construction sector to close tolerance high volume electronic components to a Global market.